Self-education is often the very best path to "enlightenment" or "epiphany". 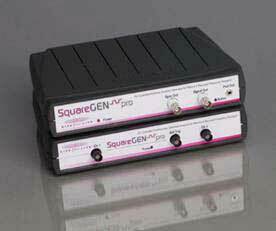 Frequency generation, control and application has been the source of a lot of confusion for a lot of folks for a very long time. Nearly half of the questions I receive on an almost a daily basis are frequency related . and the questions themselves often impossible to properly answer because the logic of the questioner is based largely in misunderstanding, misinformation, or simply a general lack of understanding of the physics and the unfortunate dual use of many terms we often include in our vocabulary. The method of application and even type of device also plays an important part in how we refer to and use of the term "frequency". In the following pages, I will attempt a "simple" explanation along with diagrams of pertinent features, characteristics, and initial concerns. We will attempt to graphically illustrate pertinent issues regarding waveform generation and application. The issues surrounding frequency generation are among the most important aspects to developing and utilizing successful Rife protocols. An understanding of waveform characteristics, generation methods and their limitations, and how this all applies to the equipment being used, and eventually the intended targets, and desired responses is an absolute necessity for useful rife application. I am a big believer ... from PERSONAL, observed, and reported experience, that using even the crudest PC based application and software has its place in our research and experimentation. Do NOT let financial or technical limitations prevent you from getting started in this research. I want to emphasize those words ... "research and experimentation" ... because that is precisely what this is. Anyone who considers this (at least in MY and neighboring countries) as "treatment" seriously needs to look at the laws in their respective areas, examine carefully who is allowed to give treatment, and what the legal mandates are as to what that treatment must be for any given malady. Especially examine the possible legal repercussions/charges which can be filed in many areas. It would be wonderful if this environment were not the case, but at least understanding it exists it is a starting place for us .... a starting place with considerable background freely shared by our predecessors of 60 or so years. I believe we know having so much information openly available for easy access and sharing is rarely the case or opportunity when considering many other closed technical fields. To begin with, it would all be very nice if we all had easy access to high quality "medical grade" computer controlled function generators. I'm not even sure such thing currently exists in my country. 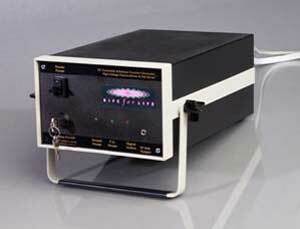 A $5000-$10,000 function generator certified in THIS country would most likely sell for MANY, MANY, MANY, times that. Example: A very simple handheld TENS circuit in this country, which can easily be built for $15-20 sells here in the US by "prescription only" for $800-900 ... or MORE and is very restricted and regulated including all markings, instructions, and documentation. What would you guess a high quality $5000 function generator MIGHT sell for? I personally shudder to think. Realistically, there are FEW among us that have the resources OR the need to equip ourselves in that manner. We each personally consider the "trade-offs"... although we DO need to understand the deficiencies inherent in our educated decisions. I don't think ANYONE will argue that there are limitations and considerations in using PC based software as the base frequency generation tool. I personally have/own, a host of various commercial function generator solutions which I use constantly ...with commercial names like Tektronix, Signametrics, Hewlett-Packard, Southwest Technologies, and more. Some of which have PC-based control circuitry. I would not expect even one of those pieces to be used by anyone but the most serious developer. I also have a host of "other devices" as well for comparison purposes, i.e. Square-One (Bob Hansen), Kinnaman (Ed Heft), Geny2 (no longer being produced), F-Scan (TB-Elects.) and I've used many others too. The fact remains, I've found "limitations" for my use, to each and every device ... REGARDLESS of price. I can constantly recognize and note "improvements" needed to better utilize them for our perceived or envisioned environments. I'm sure this will always be the case, and our needs and requirement s will evolve right along with our understanding and development of the technology. Each of these devices had their own unique niches yet each, regardless of cost, has its own limitations. RIFEforLIFE's latest HV plasma system which incorporates the SquareGENpro+ generation and monitoring hardware with our new plasma drive system. Let's begin by examining and addressing specific issues and characteristics.